One of the awesome things about writing a blog is being able to document when you are awesome, and when you are not awesome. Want to know when you might have bombed something that you tried to DIY? Just type it in the search bar baby! Back when I was a fresh new baby in blog land, and had ZERO idea of what I was doing, I thought it would be cool to show everyone all the things that I tried to do and make. That was really fun, guys. I loved to browse on Pinterest, and thought that the world was my oyster. I could do it all. If you look back into my archives, you’ll see some projects that are just plain ridiculous and stupid. I keep them there as a reminder for myself for where I started, and for darn sake Alex, you don’t need to hang paint chips up on your windows. And if you do, don’t tell the world about it. Today we chose to talk about Pinterest fails, because 1. It’s funny, and 2. Life isn’t perfect. But really, that should be celebrated. Even though I might have been frustrated at the time when these projects turned out crappy, it’s pretty funny to me now. And you can totally tell when I posted about them that I was trying to see the silver lining in the cloud. 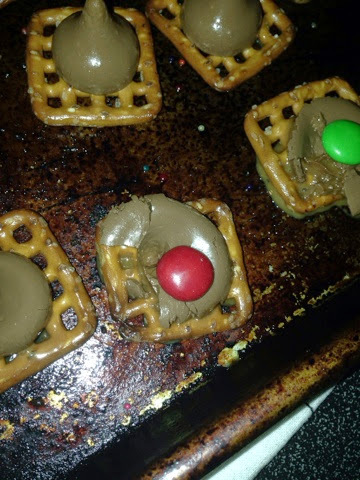 One of my biggest Pinterest fails in the kitchen has been these Hershey Kiss candies that I tried to make a couple of years ago as a Christmas gift. I didn’t follow any directions (#1 PROBLEM!) and just stuck those suckers in the oven to melt. Well, my dumb self quickly found out that more time + more heat does not equal better melting chocolate. They came out all crumbly, and got all chalky. All in all they were horrible. I also learned during this experience that not all chocolate candies melt at the same temperature. Reeses might turn out to be a gross puddle, while Rollos might not even be hot. The lesson here was read the directions! 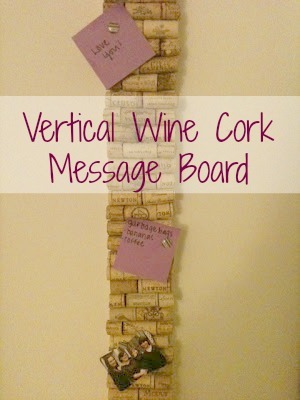 One of my biggest DIY Pinterest fails was this vertical cork board made out of wine corks. I made this when we were stuck inside during Hurricane Sandy. I thought it was the coolest solution to a weird space problem, but it really is just a bunch of corks glued to a 2x4. Stupid. The lesson learned here is get the right materials before you attempt a project. Do you have any interesting Pinterest fails? I'd love to see! Link up with us (and our new button!) below!